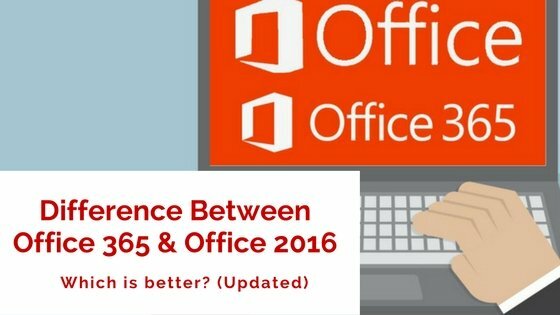 Are you confused about the difference between Office 365 and Office 2016? They may sound similar to many of you but actually it isn’t. The difference between Office 365 and Office 2016 is vast. Let’s first discuss both of them. Office 365 is a Microsoft’s subscription kind of service that organize the most recent versions of Office called Office 2016. It offers you with the powerful Office applications such as Word, Excel, PowerPoint, extended online storage and technical assistance at negligible cost. You have two options to pay for the Office 365 subscription: Monthly basis or Yearly Basis !! One of the best ADVANTAGE you find while using Office 365 is that you can share your subscription up to 4 members inside your circle. Other Office 365 plans that you want to subscribe are home and personal use, small and midsized businesses, enterprises, schools, and nonprofits. Unlike Office 365, Office 2016 is a one-time purchase application package where you spend a single and in advance to get applications for one computer. The products like Office Home and Student 2016 are available for one-time purchase supported on both PCs and Macs. 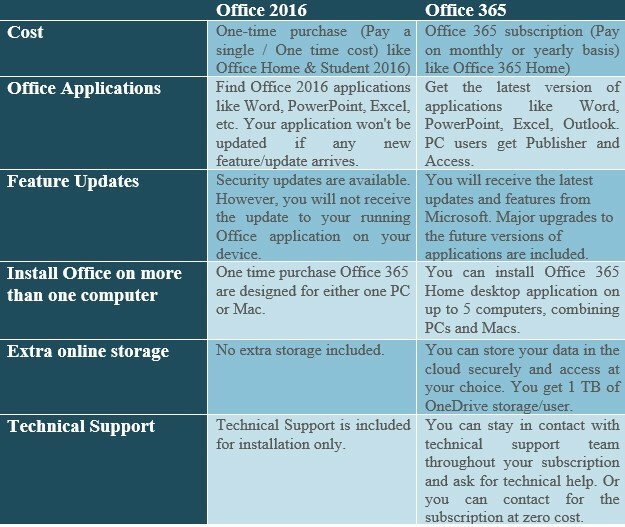 The one-time purchase of Office 2016 does not offer you with the upgrade option. So if you plan for Office 2016 download or upgrade the latest release by Microsoft on Office 2016 application, you will have to buy it at a full price. Office Online is a free version of Office that you can run on your browser. Still not able to figure out the difference between Office 365 and Office 2016? Or still in doubt to a distinction between the Office 365 applications & Office 2016 applications. According to the recent research published by Microsoft, it has already made 1.2 billion active Office users. 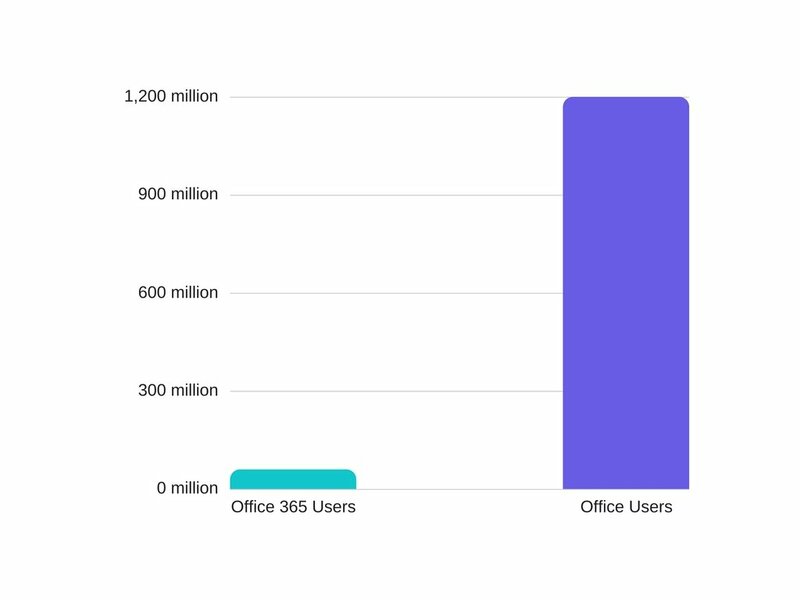 One of the major reason behind this huge number success is the Office 365 users installs which are 60 million commercial users. 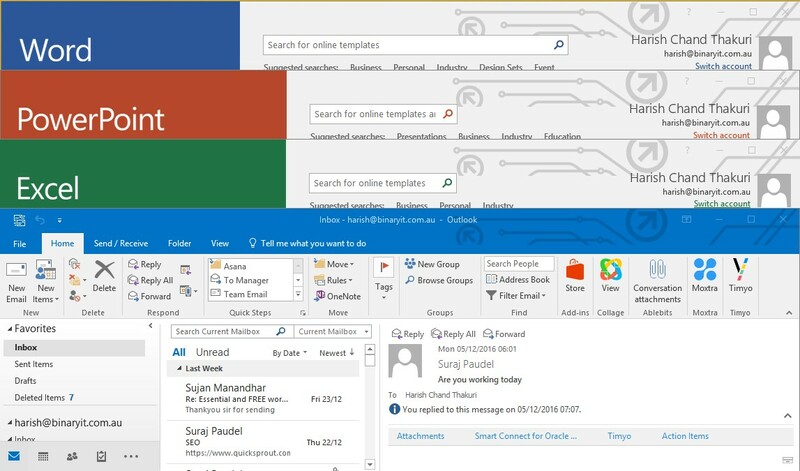 How to Login And Check Emails in Office 365?